Have bought for 257 euro. This was a pre-order, materprint edition. Also a pre-order, materprint edition. 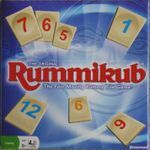 Wasn't on my whishlist but played it and immediately loved it, just fun. Wasn't cheap. I already wanted this game last year but couldn't find it for a good price but now I did. 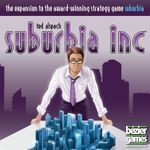 Suburbia was one of my best buys last year and this expansion was a must-buy. A classic but didn't owned it yet. Found a beautifull version in a wooden case. 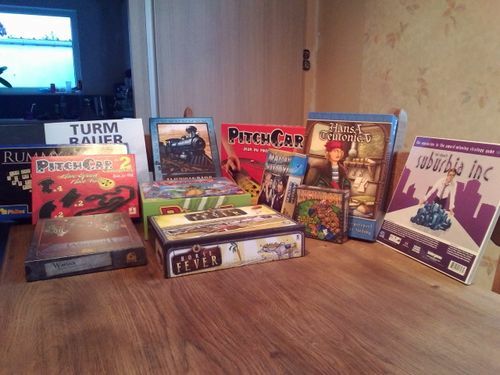 I like dexterity games because you can play these games with almost everybody. So this one was certainly on my list. I played it and immediately liked it, the game also looks great. Was already a few years on my list.